Not the most intellectual fare. Most of the time, we here at Scragged try to look at things in a fair and rational view, abstaining from needless invective and personal attacks. Then other times... we don't. This is one of those times. 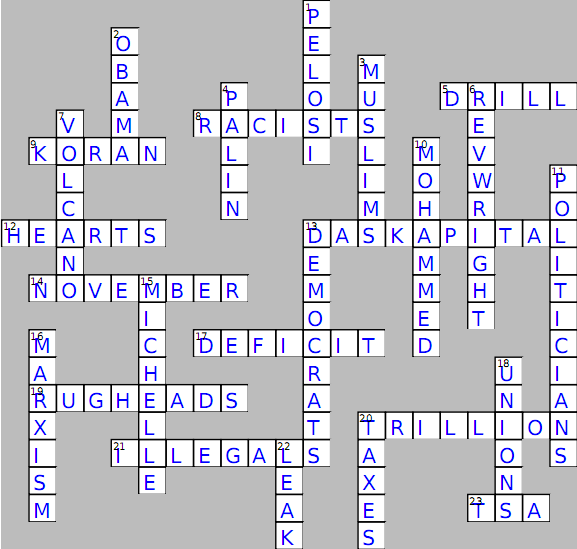 But to keep things in a suitably light spirit, we provide for your enjoyment an insulting, defamatory, incendiary, and generally all-round rude crossword puzzle, such as the denizens of the New York Times and the Obama administration - but we repeat ourselves - might think reflects the true opinions of their opponents on the Right. After all, Barackian statism is Good and Right, and anyone who opposes it must be Evil, Wrong, and Racist, is that not so? And when you're finished thinking like a media-stereotypical far-right loon, you can find the answers here. Just don't do it when the Left is looking. Happy frothing! 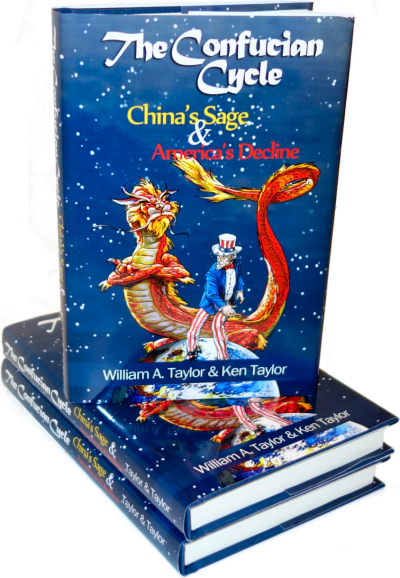 where's the Java script ready or the print ready version? If you right-click on the crossword image, you can select "View Image" or some such from the context menu which pops up. 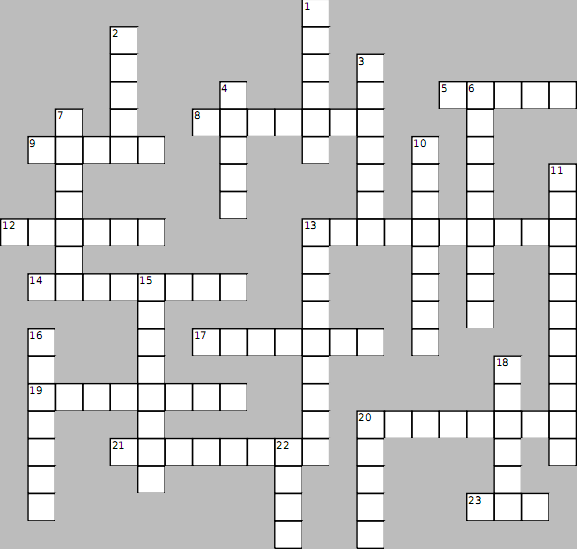 Then use your browser's print function to print the blank crossword.